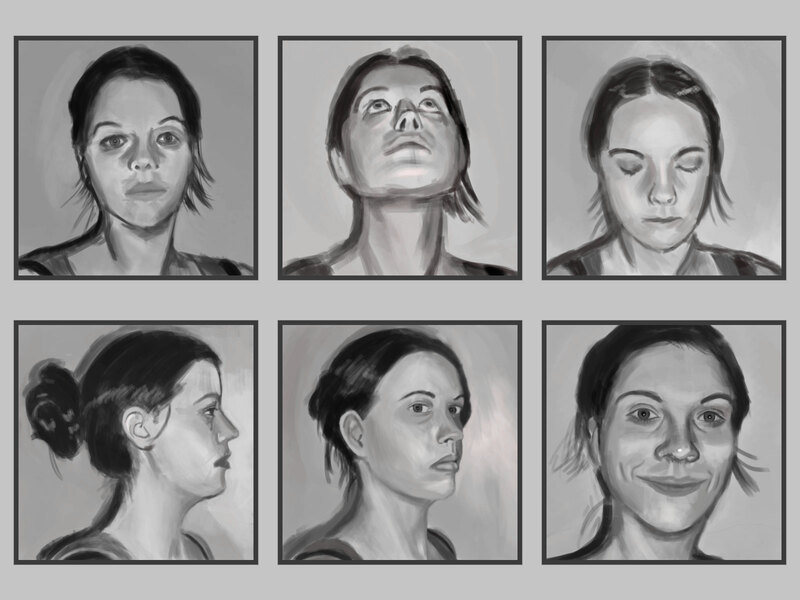 Here are some portraiture studies I created. The references were taken with a single camera-mounted flash, resulting in some harsh shadows and flat lighting, and I represented this in the final piece. I also included some very subtle warms and cools so it would not be entirely without color.